Canon A-series DIY Repair / Shutter Squeak etc. This repair is not an official method. 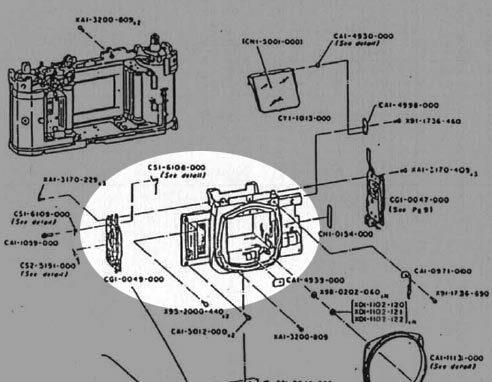 Though it is certain to repair shutter squeak by lubrication the gear part of the mirror mechanism, It isn't easy for an amateur to reach that gear at last due to the resolution, but, you must desert your camera when the camera can't be restored. So, I show the easy method that only open the bottom cover that I actually did well. How to stop the shutter squeak. That is called "shutter squeak", but it actually sounds from the mirror unit. 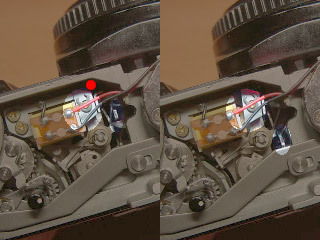 The point of the shutter squeak is shown on the following images. The following images are the back side of mirror unit. The red line means lubrication point. 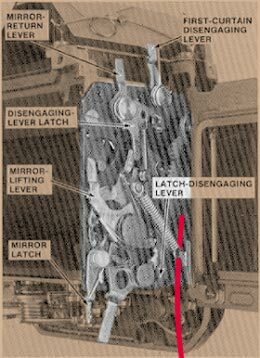 You'll not see the gears but, it'll be helpful for you to see inside image. Canon recommend Astro-oli for lubricant in the repair manual. It was developed originally for the NASA space program; it maintains the same viscosity at all temperatures, and does not decompose under high humidity levels. I used non-solvent silicone spray for my camera. 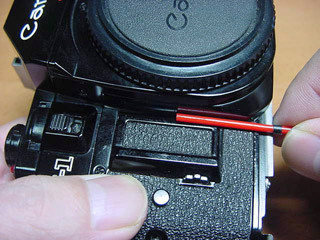 Because a solvent makes a plastic deteriorate, you must never use the lubricant which include a solvent for the camera. You only loosen two screws, and you can remove the bottom. the left photo is winded up shutter, the right photo is released shutter. 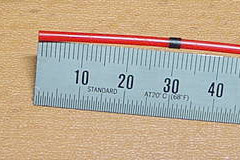 That red point shows that it is possible that a straw is inserted. 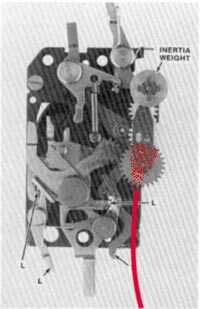 Note the difference of armature position. You can insert straw tube softly from the small gap. The depth of a little under 30mm is right. You must never insert it forcefully. 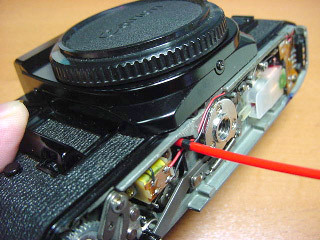 That becomes troublesome if the spring of the shutter comes off. Now, it is only sprayed, but the lubrication must jet as little as possible you can. Care that there is a curtain nearby. Practice it some times before you actually spray it. Wind and release the shutter some times after the spray, and confirm the sounds of the shutter. If it has splayed properly, the squeak is being calmed down gradually. Finally, bottom cover is closed.